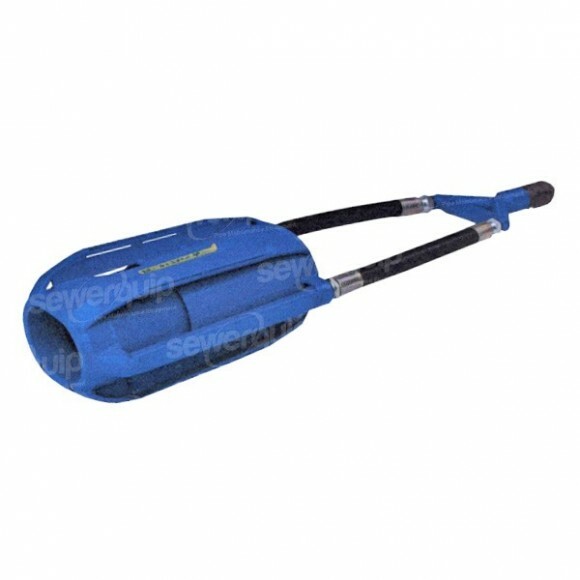 The JD Ejector nozzle removes debris such as sand, mud and gravel gently from the base of pipes that are half full or full of water. Once the Ejector is submerged in water, it uses injectors to move large volumes of water for unparalleled flushing and dredging performance. Recommended operating pressure 100 to 130 bar. Maximum pressure 200 bar. Fitted with long life ceramic jets suitable for recyclers. Made in Germany.